I love the bike, what a good Hubs! Where are you guys relocating to? I want to move to the beach like woah! 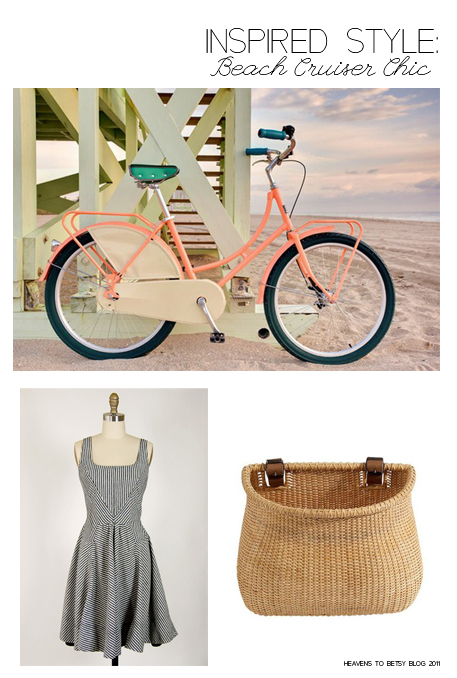 My mom is waiting for the arrival of her Lilly Pulitzer beach cruiser & she has been looking for a basket. Thanks for sharing. LOVE IT!!! 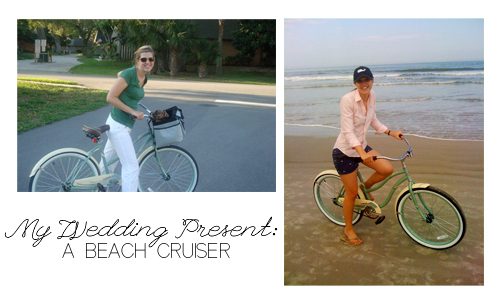 I did a post on our beach cruisers last week too. :) Even though we're not always by the beach, we still cruise all around town and love it! I love yours too! I want to get a doggy side car so McGruff can ride along with me. I think you need one too! So cute! The bikes will make for great pictures for years to come! I absolutely love it! I have more of a sporty bike, but I'm itching for a cute cruiser!